The striking parallels between Derrida’s deconstruction and certain strategies eschewing oppositional hierarchies in Asian thought, especially in Buddhism and Daoism, have attracted much attention from scholars of both Western and Asian philosophy. This book contributes to this discussion by focusing on the ethical dimension and function of deconstruction in Asian thought. Examining different traditions and schools of Asian thought, including Indian Buddhism, Zen, other schools of East Asian Buddhism, the Kyoto School, and Daoism, the contributors explore the central theme from different contexts and different angles. Insights and notions from the contemporary discussion of Derridean deconstruction and its ethic or Derridean-Levinasian ethic as a paradigm for comparison or interpretation are used as a framework. 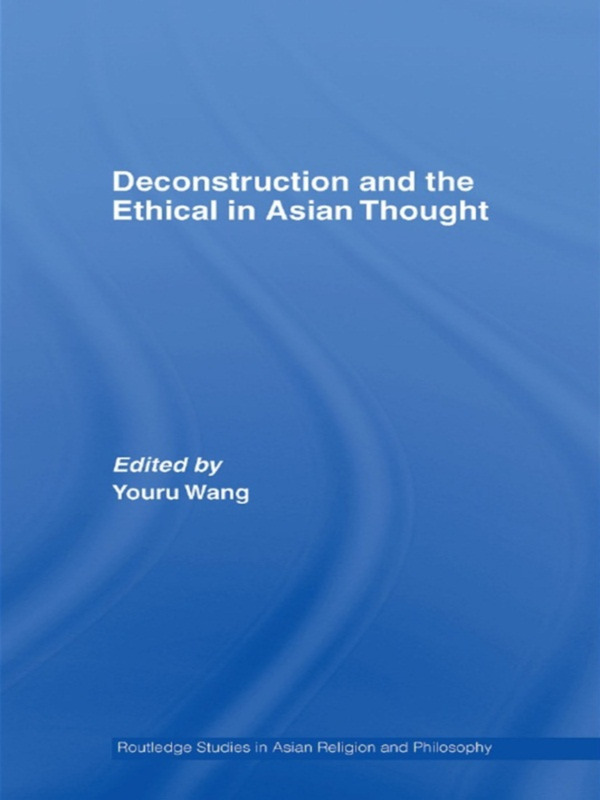 Furthering our understanding of the relationship between deconstruction and the ethical in Asian traditions, this book also enriches the contemporary ethical discourse from a global perspective by bridging Asia and the West. Youru Wang is Associate Professor of Philosophy and Religion, and Coordinator of Asian Studies at Rowan University, Glassboro, USA. His areas of speciality include Chinese Buddhist and early Daoist thought. He is the author of Linguistic Strategies in Daoist Zhuangzi and Chan Buddhism: The Other Way of Speaking, also published by Routledge (2003).